"Education is the basic tool for the development of consciousness and the reconstitution of society." 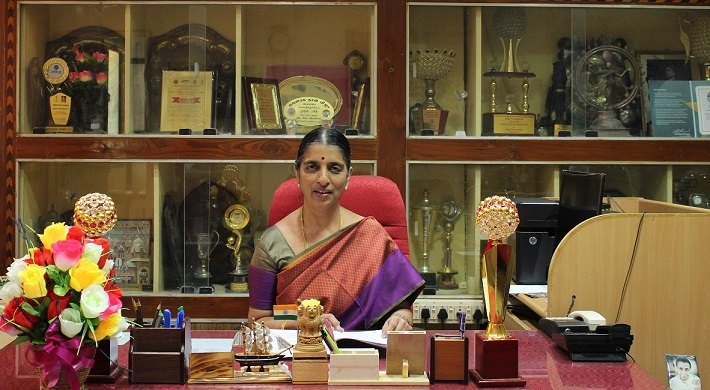 Shrimathi Devkunvar Nanalal Bhatt Vaishnav College for Women founded in the year 1968 by Cork Industries Charities Trust has built a strong reputation for imparting education of high quality with a focus on overall development of women students from the Southern part of Chennai. As our esteemed Institution marches towards its Golden Jubilee year, it is my pride and privilege to take the responsibility as Principal to light up the path and steer this citadel of learning to achieve greater heights in the years to come. The vision of our College is to mould and shape the career prospects of every student by creating an environment for life-long learning and education combined with creativity, dynamism and entrepreneurship. Emerging technologies like Data science, Artificial Intelligence, Internet of Things, Digital Marketing etc. leading to automation and disruptive innovation will be the key drivers of the world of tomorrow. Our College will endeavor to meet this challenge by suitably transforming its approach and roadmap to scale these new peaks. "My message especially for young people is to have courage to think differently, courage to invent to travel the unexplored path, courage to discover the impossible and to conquer the problems and succeed. These are great qualities that they must work towards. This is my message to the young people." Let us learn to adapt ourselves to face the fast paced technological changes and work together to translate the vision of our College to reality. 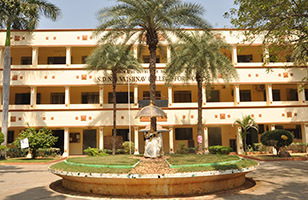 Shrimathi Devkunvar Nanalal Bhatt Vaishnav College for Women, started in 1968, was granted autonomous status in 2006 and extended in 2013. There are 10 courses at the under graduate level in the Aided structure. In the self-financing structure there are 13 Under Graduate courses 11 Post Graduate courses and 4 M.Phil. courses. 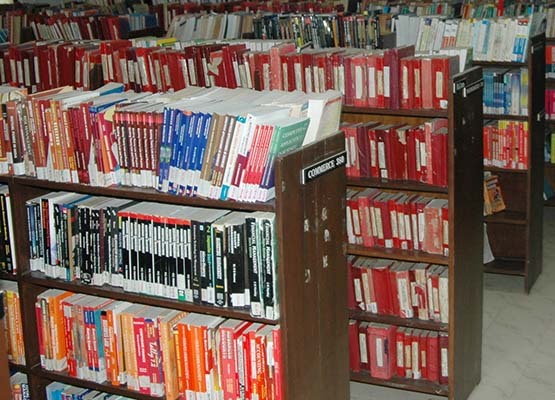 Departments of History and Tourism, Statistics,Physics, Plant Biology and Plant Biotechnology, Computer Science and Commerce have been upgraded as Research Departments. University of Madras has granted Ph.D guideship to 22 staff members. Adding to this, 20 are recognized as M.Phil supervisors in day and evening stream. The college is reaccredited with 'A+' grade by NAAC in 3rd cycle held in December 2016. It delivers a high standard of education and discipline through committed staff that makes students wiser and stronger. The Board of Studies designs and develops career oriented and socially productive curriculum, with enriched contents, which is approved by the Academic Council and Governing Body of our college. 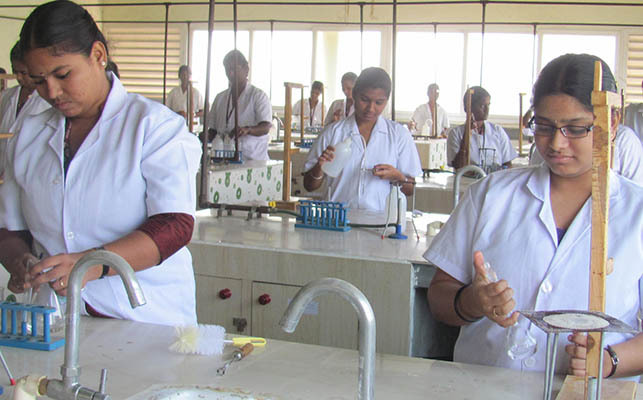 Star College Scheme has been sanctioned by Department of Bio-technology, Ministry of Science and Technology, Government of India,New Delhi to the departments of Physics, Chemistry, Plant Biology and Plant Biotechnology. The college has been established as an NPTEL local chapter. Application for both Aided and Self Supporting UG Courses can be filled online in the college website www.sdnbvc.com. Fill the online application only after the publication of +2 results. No printed application will be sold in the college. Note: Valid Email id and mobile number is compulsory for Online Application for further communication. Admission fees will be collected online only. Download the prospectus in the link below. The College campus scrolls across 10 acres of land. It has massive concrete structures and adequate infrastructure for academic programmes and administrative functions. The college houses more than 82 fully furnished classrooms, Computer Labs, Science Labs, Photography lab, Preview theatre, Auditorium, Mini-Auditorium, Hostel, Indoor Stadium, digital library, language laboratory, Audio-Visual a/c hall, state-of-the-art Controller's office, staff room with computers, intercom and internet connectivity, canteen, ATM, photo copy room, stationery etc., Nature is a system of dynamic balances, where much importance is given to bio-diversity in the present era and occasionally when a state of equilibrium has been disturbed, nature always attempts to establish a new balance between the forces involved. Nature, like a kind and smiling mother, lends her to our dreams and cherishes our fancies. Our students 'heaven on earth' conceptual Botanical and herbal garden proves that this is an eco-friendly campus. A proper blend of faith and reason will help us to lead a virtuous life for the two are inseparables. 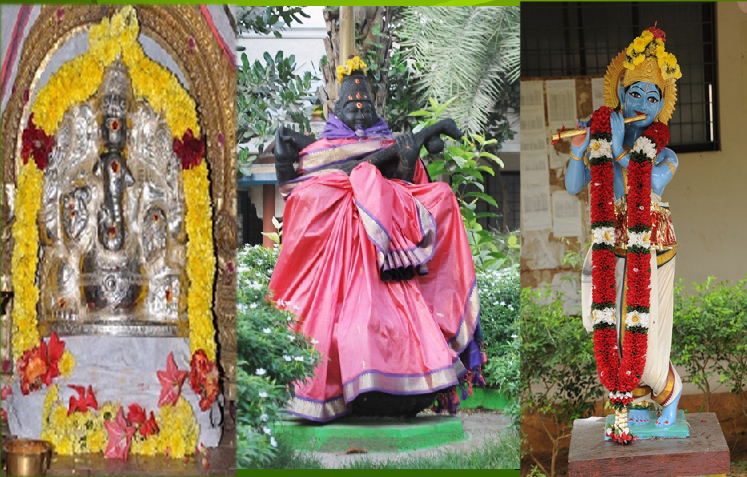 With this objective, in our temple of learning, we have a separate shrine for Lord Vigneshwara, a statue for Lord Krishna - embodiment of power and Goddess Saraswathy - symbolizing intellectual pursuit in the middle of our campus, welcoming all with a cheerful smile.